You can use this tab to send test emails of your campaign to ensure the content is as you want it. Tick this is you wish to prefix the subject line with preview. This is useful as you can identify that it is a test email. Select whether you want Send Forensics enabled. This creates a report for your email in Send Forensics. Click to send the test. A confirmation message will appear below the button once the test has been sent. Click here to see the Send Forensics report results. 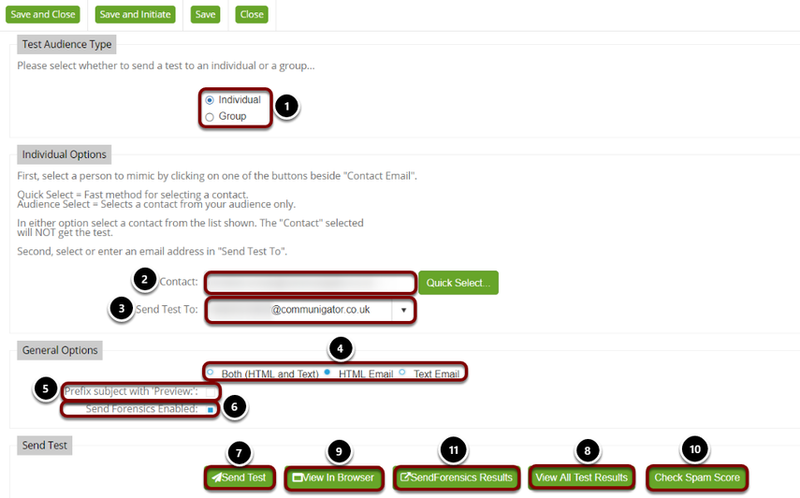 We have a Send Test Centre included within GatorCreator. To learn more about this function, please read the following article.